Jared Kushner’s lawyer has confirmed that President Donald Trump’s son-in-law and senior adviser sometimes used a private email account for White House business, though the emails most often concerned news stories and political commentary. 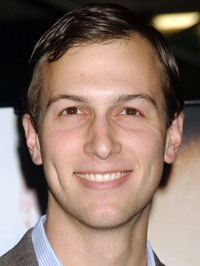 Lawyer Abbe Lowell confirmed to the Washington Post and Politico that Kushner used the private account for his first nine months of government service, including dozens of times for White House business. Politico was first to report the story. According to the Post, the descriptions indicate Kushner’s use of the account “does appear to differ in degree” from Hillary Clinton’s use of a private email account when she was secretary of state. Anonymous sources tell the Post that Kushner sometimes used the private email account for convenience when he was traveling. None of the emails appeared to contain sensitive or classified information, according to an anonymous source who spoke with the Washington Post and Politico’s own review of about two dozen emails. Former White House chief of staff Reince Priebus and former senior adviser Stephen Bannon also sometimes used private email accounts and sometimes used them to email Kushner, sources told the Post and Politico. According to Politico, some White House officials have used encrypted apps like Signal and Confide that automatically delete messages. Former press secretary Sean Spicer had warned his own communications staffers in February that using the encrypted apps could violate the Presidential Records Act.